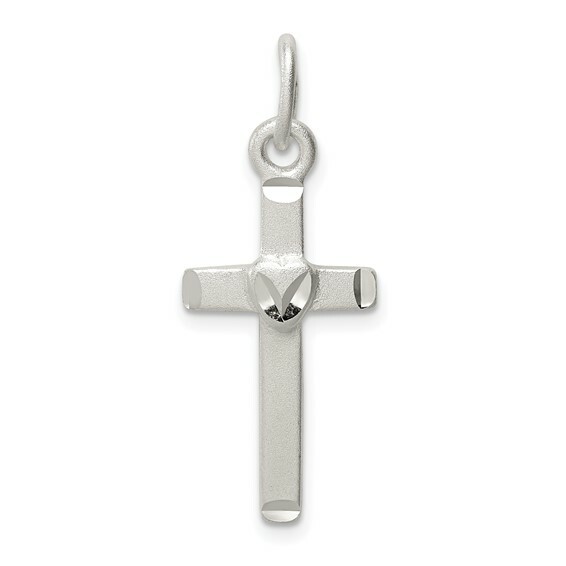 Sterling Silver Cross Pendant. Satin finish, diamond-cut. Weight: 1.1 grams. Measures 1 inch tall by 7/16 inch wide with bail. Made in USA. Chain not included.